The CSS Group was founded in 1899, is headquartered in Lucerne and has an important regional headquarter in Lausanne-Vennes. Drawing on its long and proud tradition, the company insures around 1.64 million individuals. With a premium volume of 5.537 billion Swiss francs, it is one of Switzerland’s leading health, accident and property insurers. 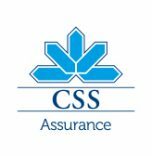 The CSS Group is the market leader in basic insurance, having earned the trust of 1.31 million people. The company fosters close ties with those it insures, with 116 agencies throughout Switzerland and some 2,700 staff. It is also one of the top insurers for corporate clients: around 20,600 companies and institutions are insured under group contracts with the CSS Group.